YOU WILL SEE PLENTY OF THESE! Management & Coaching Staff: PSV Union Directors Gary & Carine Ireland will manage the tour and will be joined by other staff and Socal Blues Coach Abner Rogers. Our staff has extensive coaching & management experience at all levels of the game including multiple tours to/from/within Australia and have managed over 300 tours for groups of 25+ players & families. Many of our tours to Europe have been run by Simon Ireland (see here) who brings a wealth of experience to the tour. Our staff are Australian citizens and know the country extremely well as well as enjoying extensive soccer and business connections. guaranteeing a high caliber event. Australian women’s soccer has experienced a huge improvement in recent years and is now considered a leader in women’s soccer. Australia is an ideal destination for the perfect soccer tour: high caliber opposition, coaching, facilities an ideal climate & environment. In 2007 owners of Soccerbookconsulting.com, Gary & Carine took the University of North Carolina Women’s Soccer team to Australia & New Zealand (read here) on a post season tour after UNC's NCAA Championship winning season and enjoyed both wonderful sightseeing and great opposition which gave the tour an ideal mix of high quality soccer and vacation. Players may travel alone in exceptional circumstances. Pre-selected players from all clubs welcome. * Accommodation. 3-4 star apartments or hotel. (Standard configuration of apartments is 2-bedroom, 1-2 bathroom, kitchen and lounge room. Typically, 2-4 people per room). Parents who wish to travel independently are encouraged to do so and join the tour at their own leisure on their own itinerary and join us when possible OR join us on the tour in its entirety. Players will share rooms and be chaperoned by parents and club staff if they travel without a family member. 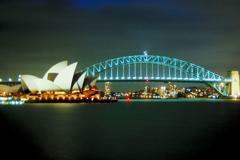 Enjoy an Ozzie Style ‘BBQ’ or a performance at the world famous Sydney Opera House, climb the Sydney Harbor Bridge and experience breathtaking views. Take a Harbor Cruise on one of the most beautiful harbors in the world and enjoy the famous Bondi Beach & the North Shores and much more. Possible viewing of live soccer matches; Rugby Union; Rugby League; Aussie Rules Football; Cricket. Visit the Worlds oldest caves, ‘Jenolon’, a World Heritage National Park in the Blue Mountains National Park with bushwalks and sightings of Kangaroos’ in the wild. Wine country of the Hunter Valley. Relax and unwind on ‘The Gold Coast’, Australia ’s most famous tourist resort and enjoy the great restaurants beautiful ocean and top class beaches. 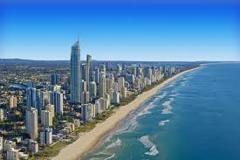 Even try your hand at Surfing in Surfers Paradise or visit ‘Sea World’. Visit ‘Australia Zoo’, made famous by the Crocodile Hunter, ‘Steve Irwin’- there you’ll see snakes, wombats, koalas and other indigenous animals. 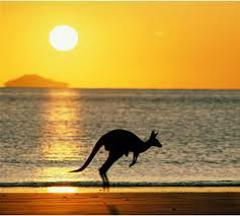 For those wishing to extend their tour, visit Fraser Island , the world’s largest sand island, home to many Dingoes and if you have extra time, fly outback to Ayers Rock.